Aged just 38 years old, Andre Villas-Boas looks to have been in the profession for a long time now. The Portuguese took the world by storm when he won the UEFA Europa league with Porto at the age of just 33, the youngest ever to win a European competition. His journey from a young football fan to the manager of major European clubs is an interesting one. Villas-Boas was 16-years old when he realized that the late Sir Bobby Robson, then manager of Porto, was living in the same apartment block as him. Bobby Robson had already built a commendable reputation for himself by managing some of Europe’s top teams at that time. He had won an FA Cup and a UEFA Cup during his time with Ipswich Town and two Eredivisie titles with PSV in Netherlands. Robson had already made his mark in Portugal winning his first league title with Porto, a club that was dear to Andre Villas-Boas. During his time at the club, Robson would very often leave Domingos Paciencia on the bench. This did not please Villas-Boas, who was a die hard fan of the club and wrote to Robson raising concerns over the issue. Robson took the time to reply to this young fan asking him to provide enough statistic and data to support his argument. Villas-Boas response caught the eye of Robson who was impressed with the substantial data and statistics that the young fan had provided him with. Robson was so impressed with the young lad that he provided him a position in the youth team’s coaching staff at Porto. This would not be all, as Robson then arranged for Villas-Boas’ FA coaching license. Villas-Boas was 17 years old when he was studying for the badge and was the youngest student in the class. The 38-year-old was a quick learner and earned the UEFA C license at the age of 17. This was followed by the UEFA B license at the age of 18 and the UEFA A license at the age of 19. At the age of 21, Villas-Boas took the role of managing British Virgin Isles. After 18-months, he went back home to follow his dream of coaching Porto. Subsequently, the then Porto manager Jose Mourinho offered him a role as the coach of the Under-19 team. Villas-Boas quickly worked his way up and was promoted to the role of analyzing their opponents. He impressed Mourinho and was his trusted associate at Chelsea and then at Inter. At the start of the 2009-10 season, Villas-Boas revealed to Mourinho his ambitions of having a managerial career of his own. The pair’s relationship has since been somewhat scarred but Villas-Boas maintains that Mourinho is the greatest of all time. Villas-Boas’ managerial career kicked off at Academica. He led the relegation favorites to a respectable 11th place finish in the league and also to a Portuguese League Cup semi-final. This performance linked him with Porto and he finally realized his dream by signing for the club he supported as a youngster – F.C Porto. In his splendid sole season at Porto, Villas-Boas won four trophies, guiding them to an undefeated season in the Portuguese League. This was followed by a League Cup and the Europa League to complete a treble in his first season. Villas-Boas’ life had come full cycle, from a fan to coaching the club dearest to him – his story inspired many. 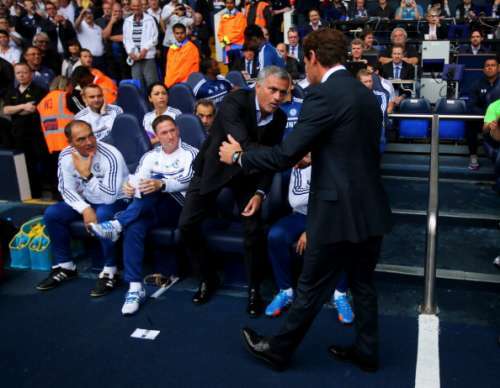 He continued his career as a manager returning to the Premier League to coach Chelsea. After a decent start to the season, Villas-Boas time at Chelsea began to fall apart after many senior players expressed their disappointment in his coaching methods. He relieved of his duties as Chelsea manager soon after. The Portuguese has since had a stint at Tottenham where he failed to impress. He then moved to Russia to coach Zenit St. Petersburg where he won three trophies including the league. 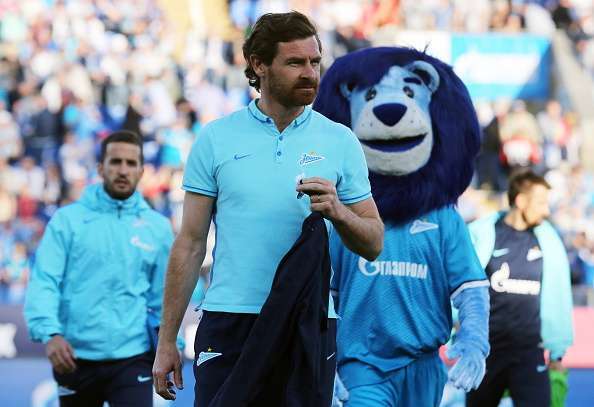 Despite his reputation taking a toll after his time in London, Villas-Boas remains to be one of the most popular managers in Europe. Currently, he is rumoured to be taking a sabbatical after his time in Russia. Villas-Boas is widely regarded for his in-depth analysis of his opponents. His style of football is based around a strong defense, two wingers, and a striker. He has played with a single central defensive midfielder at Chelsea and Porto and a double pivot in Tottenham and Zenit. His teams have been based on the 4-3-3 formation since his days in Academica and there is a good chance he could make his way back to the Premier League in the future.